When you are on the island, you may spend your time exploring all the magnificent beaches of Boracay, which accumulates to 7 KM long – White Beach, Puka (Yapak) Beach, Bulabog Beach, Diwinid Beach, Manoc-Manoc Beach and Balinghai Beach. They were gorgeous white sandy beaches – even with the crowdedness and known as commercially-touristic place, the environment were still clean and well-maintained. The sea is unbelievable stunning, the water is so crystal clear, you can even see your own feet! Simply amazing. Boracay Okay (Part 4) – The Food. After you have burned out your energy for all the thrilling excitement of activities, by all means you would want to replenish your energy and refill your hunger. On the island, I was overwhelmed by so many restaurants and coffee house; I wish I could try them all! (I get hungry easily most of the time, if you aren’t familiar about this, you may glimpse at my profile on the right sidebar). Literally, food wise, I don’t have any special recommendations and it’s also pretty much depending on individual’s preferences. Nonetheless, I will be sharing with you guys several dishes that we had during our 8 days stay, and highlighting some of which I personally thinks, tasted awesome. 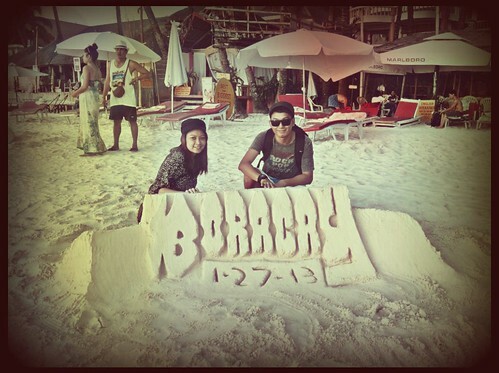 Boracay Okay! (Part 3) – The Fun & Activities. 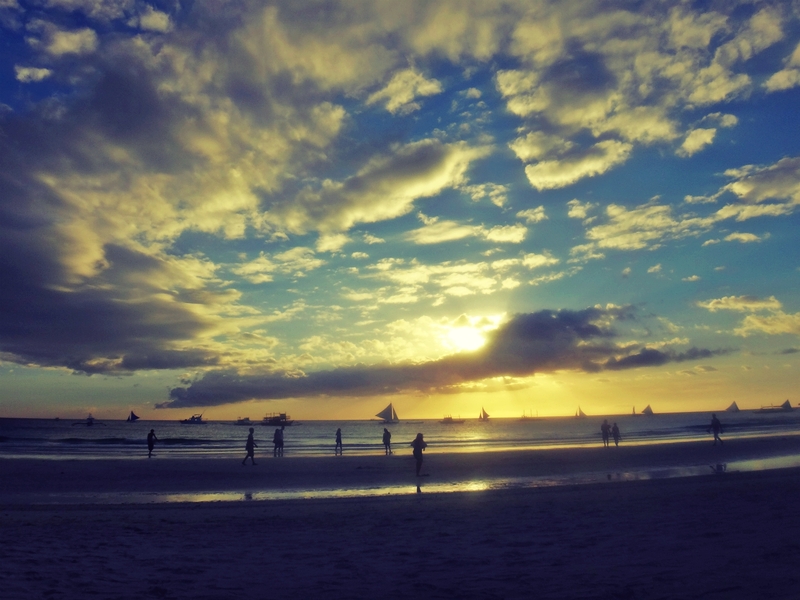 When you land on Boracay, most people spent their days enjoying the spectacular scenery of the island. I love to save the best for the last, so I’ll definitely share the stunning views in my final Boracay episodes with you guys (I promise!). I believe you’ve read through the previous stories about the hassle and the activity itinerary, well that’s pretty much what we did over the 8 days. On Wed, 23-Jan-13, both of us fell sick and somewhat have to stay in the hotel room that morning (I know, it’s a bummer when you’re sick during your holiday!). 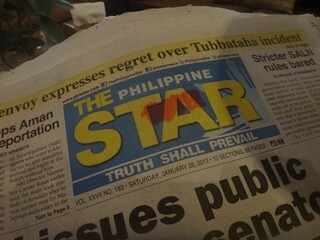 Before I flew to PHI, I had been sick for a week, where my fever spikes up every single day until it reaches 40 degrees! Terribly, it didn’t go off until the night we were supposed to fly. I went to consult with the doctor again asking if I’m allowed to travel (you know you would do anything just to get on that plane!). So I played my innocent face with the innocent-wide-eyes, begging the doctor to help me sort out the disaster. I was prescribed with several antiviral medications for the trip and gotten the approval to travel in a safe condition. Despite the super-high fever, I was glad when I heard the word “Yes, you can” from the doctor’s mouth. We stepped in to our hotel on Tues, 22-Jan-13 late evening, about 6:30 PM after our extensively tiresome journey. The scenery was dark during this hour, where we didn’t perceive before long that the sun sets at around 5:30 PM on the island. What we also didn’t realize exactly, that was the actual hour where most people started to look around to fill in their stomach for dinner. I certainly had some trouble getting used to the time zone changes in the beginning. We were greeted by Janet, the second pleasant people I’ve met. The first was the hotel’s driver who’ve helped us tremendously all our way from Caticlan Jetty to the hotel – He helped us carried all our overweight backpacks, paid all the fares, got all our tickets, and drove us through congested streets in the island (passing by Station 3, Station 2 then Station 1) heading towards Boracay Beach Club Hotel. Yeap, that’s the place we stay!